Bill Bartsch is the author of Doomed from the Start, December 8, 1941, Every Day a Nightmare and Victory Fever on Guadalcanal. Bartsch's research and historical expertise is WWII Pacific history. Also, he has visited and traveled to many Pacific battlefields himself and maintains the website Writing The Pacific War. What Pacific Locations have you visited? Recovery or Rust in Peace? Tell about your interest in WWII Pacific? 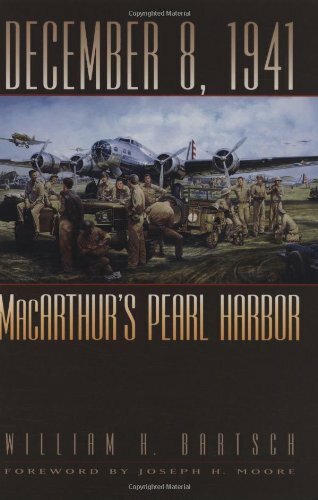 In early 1942, I was nine years old and completely obsessed with World War II, particularly MacArthur's stand in the Philippines, but also later in the year with the Guadalcanal campaign. I didn't think about the war as I was growing up and pursuing my studies, culminating with a PhD in economic development at the University of London. While in London 1963-69 for my studies, I visited the Imperial War Museum (IWM) and was hooked on the exhibits there of WWII events, which had the effect of rekindling my interest in the Pacific War. Since I could find so little written on it, I decided to find out about it directly from the participants and, eventually decided to write about it myself. I visited most of the battle sites in the Central and South Pacific during 1974-1986. My first trip to the Pacific was in August 1973, when I took up a 2-year UN assignment in Fiji as manpower planning advisor to the government. One reason I opted for this assignment was the opportunity afforded to visit all the old battle sites and search for any relics still there. 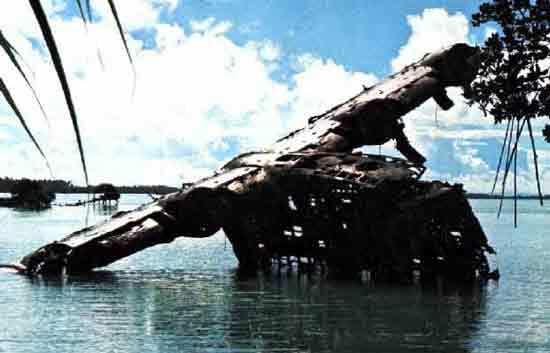 My first battle site visited was Funafuti, in the former Ellice Islands, in November 1974, the first stop on a visit extending up the Ellice and into the Gilberts that involved layovers in Nukufetau (B-24 base in 1943), Nanomea, Tarawa, Makin, and Abemama. It was quite an experience in itself to reach these sites, starting out with a flight from Fiji to Funafuti, then a trip on an inter-island ship the Nareau to Nukufetau and Nanomea in the Ellice (captain provided me with his launch for the day's stopover in each place), and finally to Tarawa. From Tarawa I flew on a local plane to Makin and Abemama. I didn't visit Clark Field, for which official passes were required when I was in the Philippines in 1977. But I believe there are very few remains of the 1941-42 period surviving there today, just a few buildings. 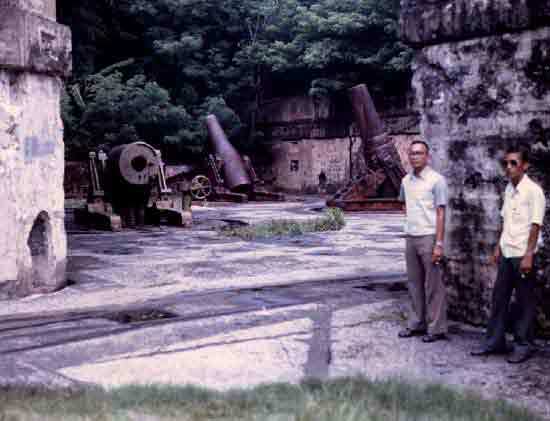 The fortifications on Corregidor and especially Caballo, I've heard that many of the guns have been illegally removed by locals collecting scrap. What a shame! And of course Fiji when I was based there 1973-75. 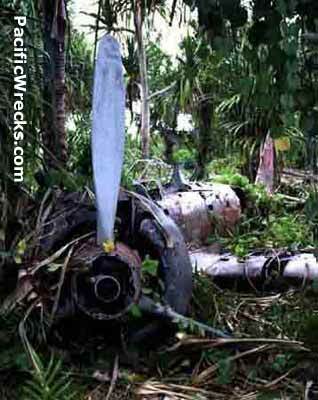 I'd seen an issue of After the Battle and contacted the editor, Winston Ramsey to see if he would be interested in Pacific War wreck discovery stories, using a "then and now" approach. He was enthusiastic so I sent him the story of my Gilbert & Ellice Islands trip of November 1974. I then followed up with a story on my 1975 Solomon Islands visit, my 1977 Philippines explorations, and my 1986 Maloelap search (this while on a UN mission to the Marshall Islands). The editor wanted more stories, but by then my UN-sponsored missions to the unexplored parts of the Pacific were not forthcoming. Writing on the Pacific War is always sandwiched in between consultancy missions for the United Nations, World Bank, USAID to developing countries in various parts of the world. The main difficulty faced in writing Doomed at the Start was the paucity of official records, most not surviving the campaign. But even those I found did not give the detail I needed or provide the human dimension I sought. As a result, I relied mainly on diaries kept by the pilots, which in many cases they only grudgingly lent to me after pleas extending over years. It took 13 years of research and writing to produce the book, which had to be put together like a giant jig saw puzzle of many individual experiences. December 8, 1941 Is a detailed analysis of the plans and arrangements for the build up of airpower in the Philippine Islands, November 1940-December 7, 1941, the Japanese preparations for the attack on the Philippines, September-December 7, 1941, and the events of the actual attack of December 8, 1941, as experienced by combatants on both sides. 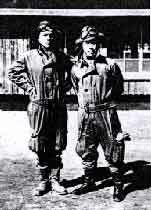 I have corresponded with Japanese veterans, including Zero pilots who attacked Clark Field on December 8, 1941, the 252 Kokutai pilot based on Taroa on Maloelap (mentioned in my article), and "Pistol Pete" of Guadalcanal campaign fame (now deceased), who was my main source of information on Japanese experiences during the campaign. I've had no contact with Japanese Army Air Force pilots, just Navy pilots. The veterans who participated in the Pacific War are now in their very late 70s and early 80s. It is a race against time to record their memories of combat in the various Pacific campaigns. I feel I have an obligation to them to ensure that the public knows of the sacrifices they made for the country. I believe a relic should be left in its original location if it is to have historical significance. Of course, relics risk being hauled off by the locals for their own practical needs -- using Marsden matting for pig pens,aluminum from aircraft for combs, etc. On Taroa island on Maloelap, I found a Japanese sake bottle in a gun pit and for a moment was tempted to take it home, but instead reinserted it in its little pocket in the tangled brush in the pit for others to see some day (but hopefully not to remove). The story of the experiences of the P-40 pilots diverted to the Dutch East Indies to try to stem the Japanese air and sea invasion of the Indies, January-March 1942. The failure of the first attempt of the Japanese to seize Henderson Field from the Marines, August 21, 1942, as experienced by combatants on both sides. Col. Robert D. Heinl Jr. Memorial Award 1998 for best article on Marine Corps history published in 1997, awarded by the Marine Corps Heritage Foundation. Rear Admiral Ernest M. Eller Naval History Prize 2002 awarded by the Naval Historical Center and the Naval Historical Foundation. 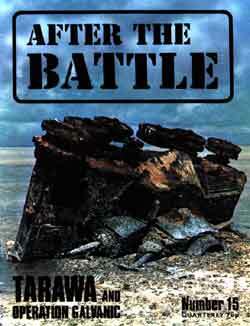 Arthur Goodzeit Award for best book on military history published in 2003, awarded by the New York Military Affairs Symposium (for December 8, 1941).